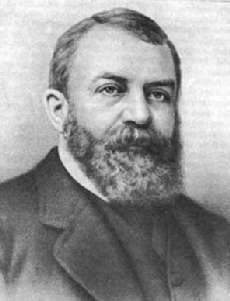 As a graduate of Moody Bible Institute I love reading the writings of D. L Moody. He once said, "A good many are kept out of the service of Christ, deprived of the luxury of working for God, because they are trying to do some great thing. Let us be willing to do little things. And let us remember that nothing is small in which God is the source." The Lord is always looking for opportunities to promote us - to take us to a higher calling. The problem is that we're often so busy trying to promote ourselves that He can't get a word in edgewise! Let's not neglect the little things God has put in our path to do. Help clean the church once a week, bless that neighbor or family member God has put on our heart, take the time to share the gospel with a coworker. Those little things will eventually lead to bigger things -- don't you doubt it! There's so much work to be done! Dear Lord help us not neglect the things You put in our path no matter how small or big. We thank You for being faithful. In the Name of Jesus, Amen.